It felt so familiar walking into Il Torchio with all the old printing tools. My grandfather had a printing company in his early life; my cousins, brother, and I loved to play with his old printing press that he kept in the basement. 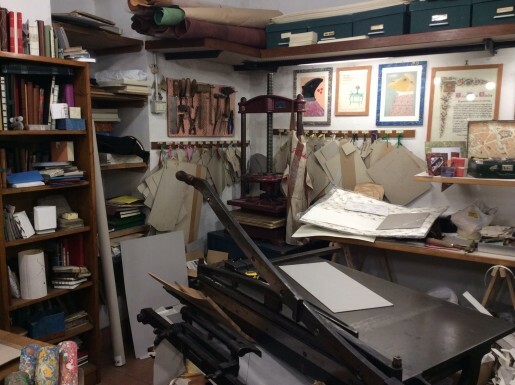 My exploration of Florence artisan workshops with Nardia of Lost in Florence and Georgette of Girl in Florence included a visit to this paper making and bookbinding shop. 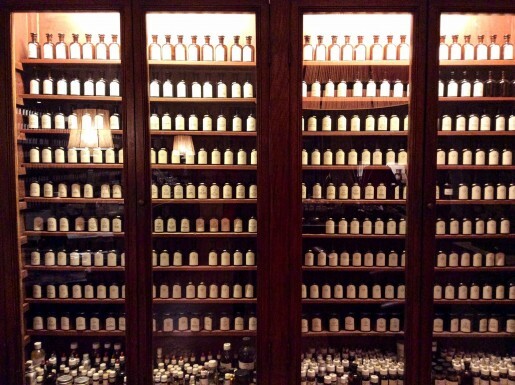 We also visited a perfume master, a Florentine goldsmith, and other artisan delights. Our peek into the past featured more than just learnings of ancient Florentine craftsmanship. 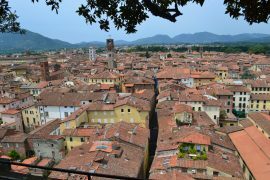 We meandered historic neighborhoods that I knew little about, like the Oltrarno, the Santa Croce, and the San Niccolò districts. The shops we explored appealed to the design and architecture lover in me as they reside in historic buildings, grand palazzos, and even a historic Renaissance palace. And, I thought we were just going shopping. Get Lost in Florence – the right way. More than a few times I’ve caught myself looking longingly at a shop while on holiday. I try to muster up the courage to open the door and enter, but find myself too intimidated. I’m scared I’ll bother the shopkeeper; what if I don’t buy anything or if I disturb their work? When I spent a day in Florence with Nardia and Georgette those desires were at long last realized. A few words on my gracious hosts. Nardia’s Lost in Florence concept shows you the hidden parts of Florence that truly make up its culture. Nardia told me the premise behind her website is a celebration of the artisan. The images and prose are so enchanting that you can get lost in the site before even setting foot in Florence. 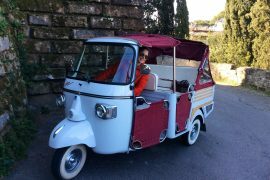 Georgette’s website, Girl in Florence, is a Florentine travel powerhouse. I found it when I moved to Italy as I was looking for information on expat life and the Visa process. Her words were a huge help as I settled in. When I started planning my trip to Florence I went to her site almost daily for information – she does a monthly events in Florence write-up, restaurants in Florence, wifi locations, coffee tips, and whole lot more. When we started emailing I was immediately charmed by her enthusiasm and willingness to help. During our day together she told me she responds to every single message that comes in looking for tips and advice on Florence travel. That’s just cool. I still close my eyes and try to re-capture the smells of Aqua Flor in Florence. It is pure olfactory magic. 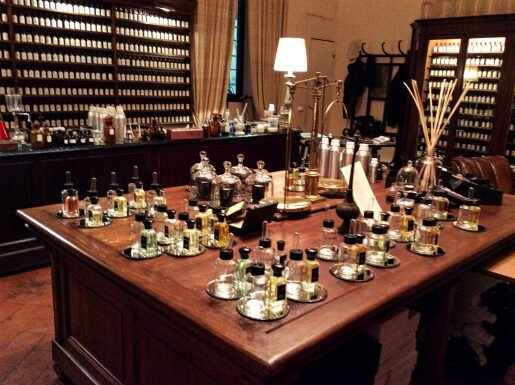 The captivating scents are developed onsite in the shop’s laboratory and packaged as candles, oils, potpourri and more. 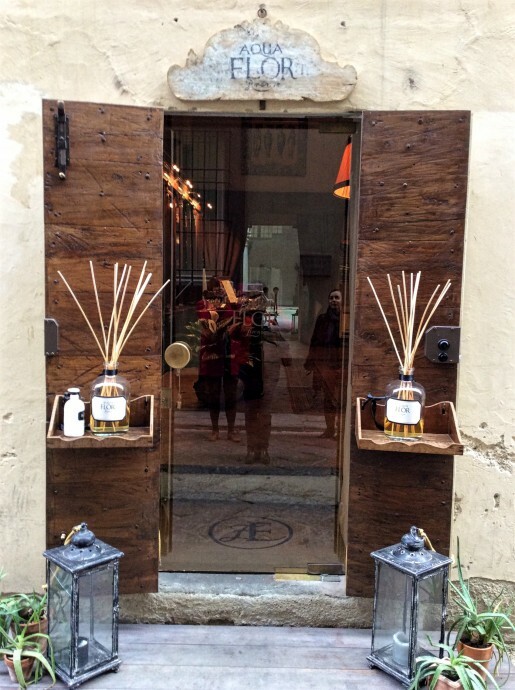 According to Nardia the shop pays homage to the long ago Florentine art of perfume-making, which dates back to the Renaissance when Medici scientists sought to understand to how to extract scents from plants. Owner and Perfume Master Sileno Cheloni (cool title, right!?) develops scents especially for customers with more than 1500 ingredients in the lab. 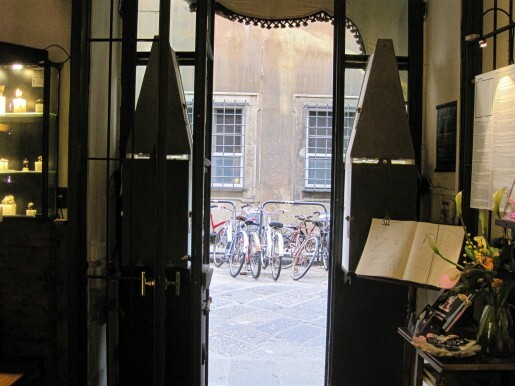 Florentine Perfume Making shop Aqua Flor beckons right from the entryway. Aqua Flor. Scents and smells galore – you can even work with them to make your own signature scent! Aqua Flor. Rows and rows, bottles and bottles. Nardia called Goldsmith Alessandro Dari a Florentine jewelry maestro. 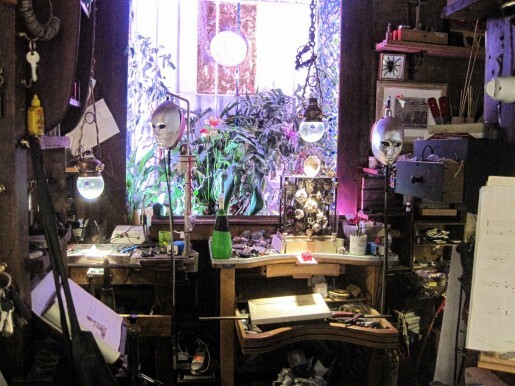 The bulk of the space in the workshop serves to display his work in a museum-like setting. His small workspace is situated in what could be a large closet. An opening lets visitors peek in to watch him carefully create each piece of art. If you want to learn the ancient craft of the Florentine goldsmith Mr. Dari will teach you himself. Limited to five students a session, he teaches on-site with courses running one to three months. Students must present prior works to be considered. Alessandro Dari’s goldsmith gallery / workshop is in an ancient Renaissance palace in the historic San Niccolò district of Florence. 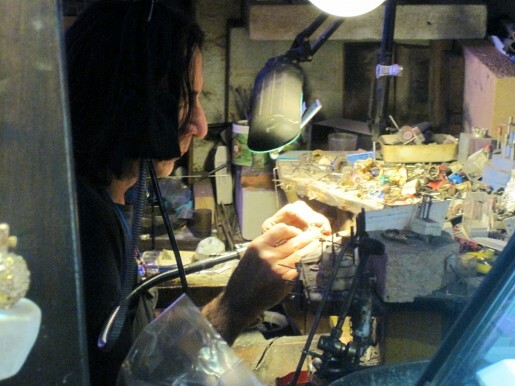 Master Goldsmith Alessandro Dari practicing an ancient Florentine art – you can see him at work while visiting his studio. If you have a special occasion or just want to commemorate your Florence travels you can commission a unique piece from Alessandro Dari. I first saw the words “legatoria artigiana” on a shop near my home in Alba. I asked Il Marito what it meant. He wasn’t sure so we asked around and learned it was bookbinding, I was intrigued. Really? People can still make a living with bookbinding? Of course, I never got up the nerve to go in to the one in Alba to explore it, so I could hardly contain my excitement when we entered Il Torchio in Florence. 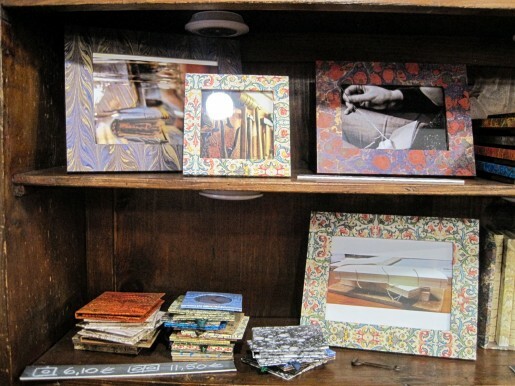 The shop is run by Canadian expat Erin who did a year in Florence studying bookbinding with Il Torchio’s then owner. Erin took over the store in 2008. Today she maintains the ancient craft with paper goods, hardbound and leather wrapped notebooks, and more. You can even commission her for customized items. When we arrived she showed us wedding invitations that had been ordered from the U.S.
Get creative and order paper products as well as books from Il Torchio. 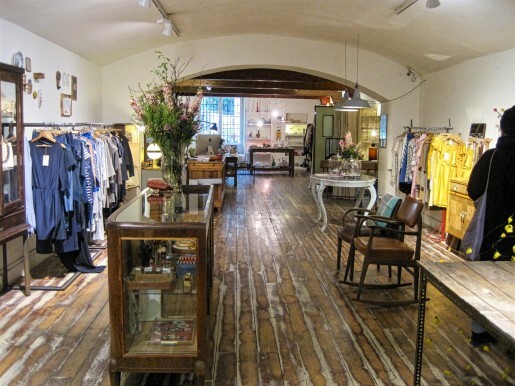 Other artisan Florence shops we visited included vintage meets contempo fashion haven, Boutique Nadine, design and homewares studio And Company, and a ceramic studio called Anita Russo. 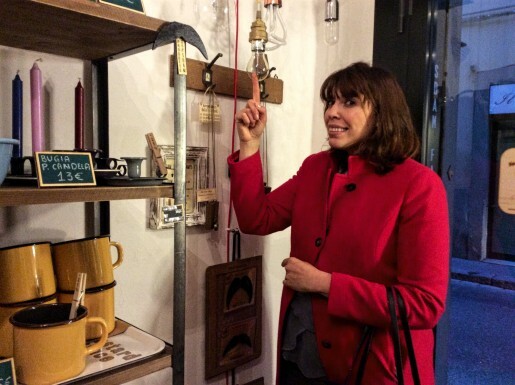 Visit Lost in Florence and and Girl in Florence for more ideas on shops and neighborhoods to explore. 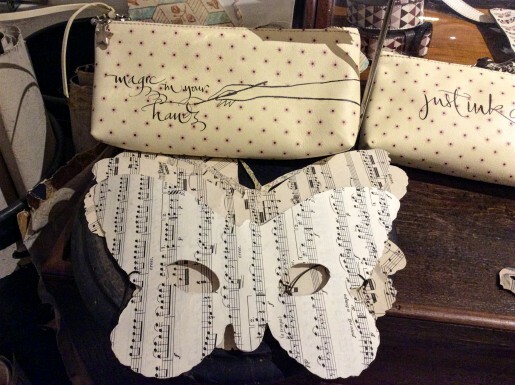 To arrange a personalized Florence artisan workshops tour, contact Nardia at ciao@lostinflorence. She will happily connect you with the best guides in the city to fulfill all your passions — fashion, food or art. Schedule a ceramic making session at Anita Russo. & You is a fun little shop that marries housewares, graphic design, and calligraphy. Find unique items and a studio for personalized creations. Dress yourself up, head to toe, at Boutique Nadine. We were clearly a trio of expats; there were practically squeals of joy at spotting extra large coffee mugs. Vorrei un cappuccino, per favore! 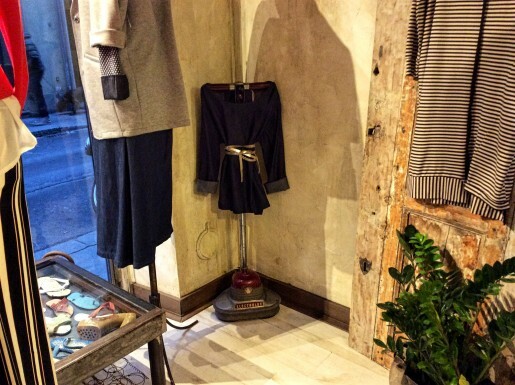 We were all rather smitten with this brilliant display – a vacuum turned mannequin! Getting Lost in Florence is just the beginning with these two lovely ladies. 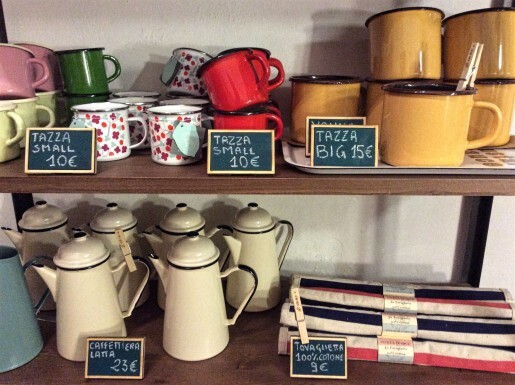 Explore Nardia’s site to get Lost in Rome, wine, and so many other quaint artisan finds. Georgette’s Girl in Florence has also expanded outside of Florence with travel guides for other parts of Italy, Turkey, France, and more. Do you have any favorite Florence artisan workshops we should visit? I’ll be back in Florence later this month and would love suggestions. Please leave me a note! For more Florence travel resources, check out our Tuscan Travel Guide, complete with tour recommendations, foodie adventures, and more. And, follow my upcoming Florentine adventures on Instagram, @valeriekq. Previous articleWhen is the best time to visit Piedmont? Let’s review. What a lovely write up Val, I really appreciate it! Also it was just so much fun discovering these places together, bloggers always do have a good time don’t they? There is so much to see here and I have a list of other ideas this May so let’s make it happen!! Thanks for reading, Georgette – and, of course for the lovely afternoon in Florence. I cannot wait to see what you have in store in a few weeks! A presto, bella! Very nice post. I practice the artisanal craft letterpress here in Piedmont too. Not so far from Alba in Mondovi. We have a mutual friend, Anna. I looked up & You on the web and found nothing… Have you got a link for them? I’m interested in the calligraphy they do. Thanks for reading, Roxy! There is a hyperlink to an article about And Company that gives their details. I’d love the check out tour shop sometime! Got it! You are welcome! I also get to the Langhe/Alba maybe we could have a glass of wine together sometime! Good work!